Generation YESS volunteers come from all age groups, cultural backgrounds, and areas of interest. As a volunteer you’ll make a difference in the lives of our community’s most vulnerable youth. We have two main categories of volunteers: general volunteers and special event volunteers! If you are interested in volunteering with YESS on a regular basis, check out our volunteer opportunities to see what we offer! If you see something interesting that you think you’d like to be involved in, please complete and submit a General Volunteer Application. You’ll hear back from our Volunteer Coordinator if your application is successful! By signing up to be a part of our Special Events Team, we ask that you commit to helping out at just one event per year. 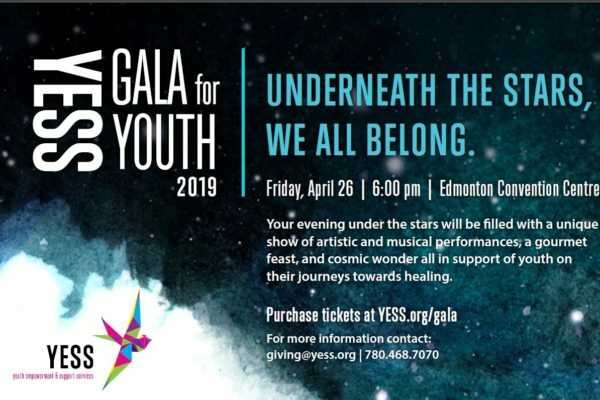 Whether you volunteer at one of our major events, such as our annual Gala for Youth or Charity Golf Classic, or at one of our many community/third party events that take place throughout the year, you’ll be helping YESS support homeless youth in Edmonton. To sign up, simply fill out this quick application form!